Rob Gronkowski Had Surgery For An Infection. Uh-Oh? Rob Gronkowski was scheduled to be the NFL Network's red carpet correspondent for the Oscars, but mysteriously canceled on Friday. Busted Coverage's Gronkowski party photos, which are akin to the GPS tags conservationists use to track endangered species, haven't been updated since last Tuesday. The world wants to know: Where is Gronk? Adam Schefter reports Gronkowski had surgery last week, his third since November. The previous two were to repair his twice-broken arm, but this one should be worrying: Schefter says the surgery was needed to clean out an infection. The Patriots are being typically tight-lipped about the nature of this latest procedure (and quite possibly leaked it just after announcing Tom Brady's contract extension, to bury the news). But infections are scary things, especially staph infections, the single most common post-operative complication. Tom Brady battled a staph infection months after his ACL surgery in 2008, and doctors spoke about how his rehab had to start again from square one. Now, though, staph is bringing down the strongest and healthiest among us — athletes — many of whom were nowhere near a hospital when they became infected. High-profile names in every sport have been put on the shelf: former MLB slugger Sammy Sosa, White Sox outfielder Álex Riós, Grizzlies forward Rudy Gay, Rockets forward Shane Battier, Nuggets forward Kenyon Martin. Ex-middleweight champ Kelly Pavlik nearly died from an infected cut on a knuckle. Staph has killed high school and college football players — including Ricky Lannetti, a record-setting Division III wideout — and ended the careers of pros such as Redskins defensive lineman Brandon Noble and Browns wide receiver Joe Jurevicius and All-Pro center LeCharles Bentley. Problems arise because staph, and its killer cousin MRSA, are resistant to many common anti-biotics. No one will confirm that Gronkowski is battling a staph infection, but the fact that drugs weren't enough and doctors had to physically clean out his wound is troubling. 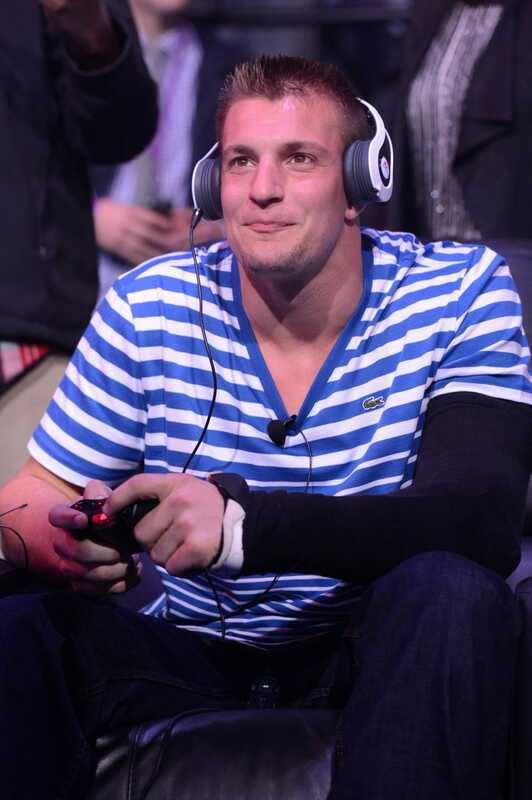 If there's anything on Gronkowski's side, though, it's time. His original prognosis was for rehab lasting 4-6 weeks. Even if he has to restart the clock, he should be good to go in time for training camp—barring any more setbacks.